In feudal Japan, it was a traditional practice to place your katana and wakizashi on display in your home during times of peace. If you are hoping to follow this ancient model of respectable conduct, then you need the Two Tier Sword Stand. This wooden display features a cherry-colored varnish, making it a beautiful complement to any sword collection. 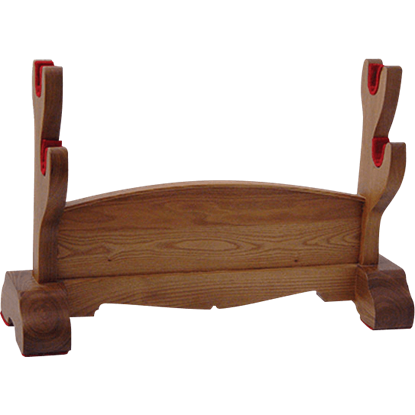 It features two cradles lined with red felt, ideal for the placement of medieval or oriental blades. The wide base of this display stand helps prevent it from falling over, and two tabs on the back can be used to mount it on a wall. The Two Tier Sword Stand makes a fantastic display accessory for any sword collector. 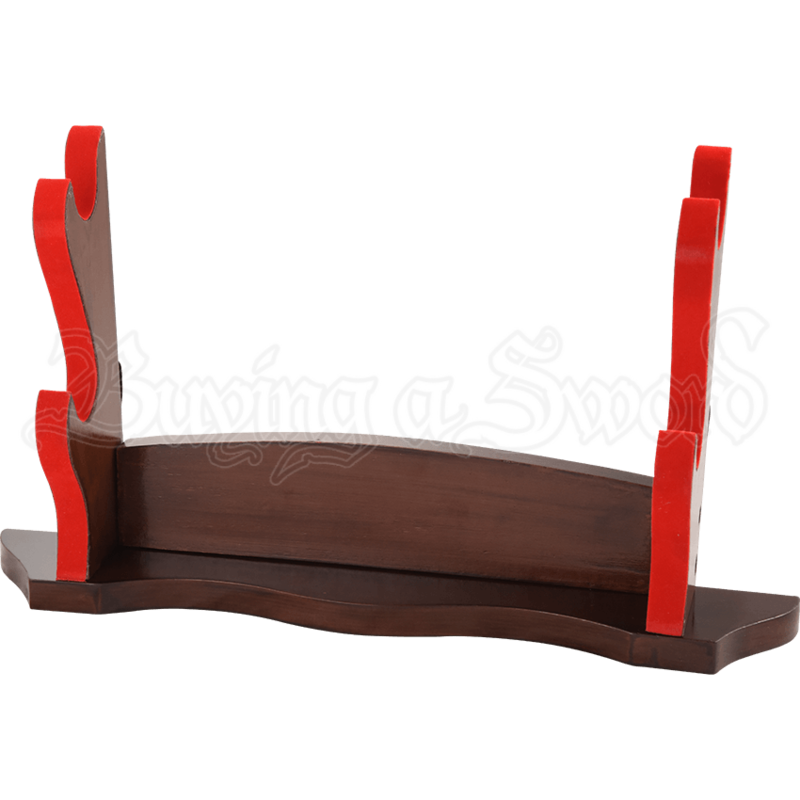 The Premium Double Sword Stand makes the perfect option for displaying a paired katana and wakizashi or any two of your favorite blades. 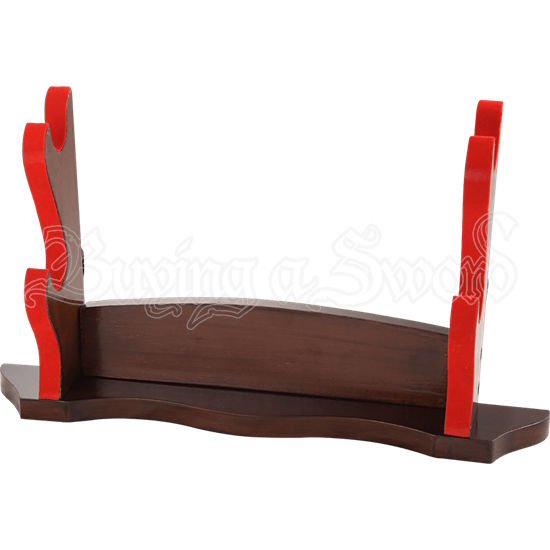 This double sword display stand is an impressive sword accessory for your home decor. Our exquisite Japanese Sword Stands are perfect for displaying your authentic katana sword sets. The Single Sword and the Double Sword Stand are black lacquered and feature a padded shelf for a Tanto or maintenance kit. 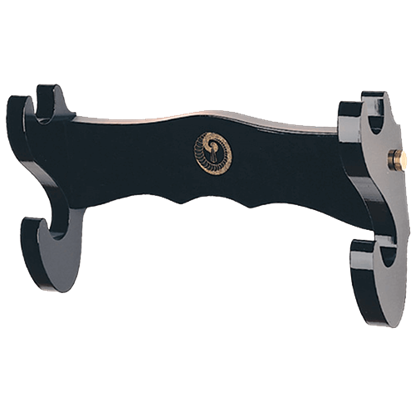 Our exquisitely designed Japanese sword stands are perfect for displaying your most prized katana or daisho (sword pair) of katana and wakizashi. 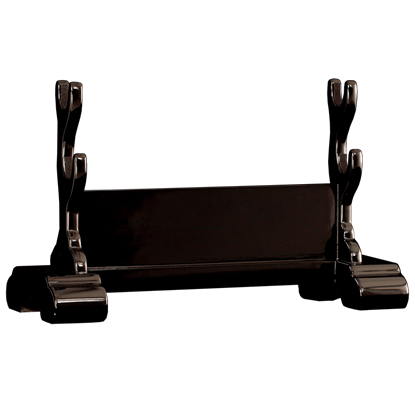 The Black Lacquer Samurai Sword Stand showcases two swords of your choice. Whether you own one sword or a whole collection, you need a way to display them that matches the beauty of each blade. Proudly show off your swords using the Three Tier Sword Stand, a wooden stand with room for up to three weapons. 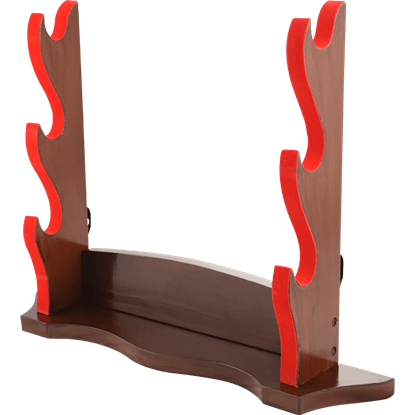 This solid wood Two Sword Wall Rack will display two swords in your home or office. 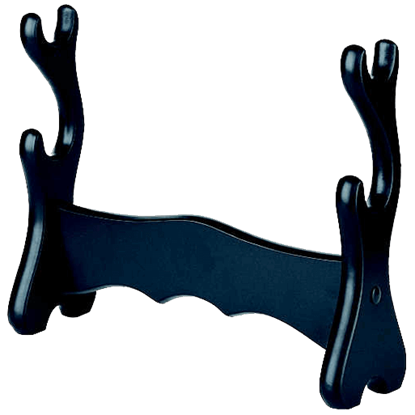 The two sword wall rack has a black finish, making it a beautiful display for your prized swords. 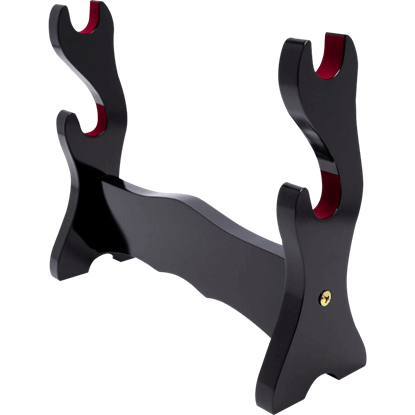 Made from high-quality materials, the Black Two Sword Table Top Display Stand by Marto is guaranteed to properly display your swords in simple elegance and style. It is great for showing off your historic arms and weapons. A pair of swords is a great thing to display. The Samurai did it with their legendary daisho set, and many other warriors had swords made in pairs, too. 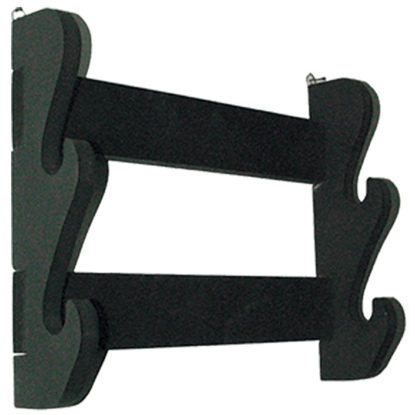 This Double Sword Wall Mounted Rack is perfect for displaying any sets you own. The Katana Wall Display, by Marto, is designed to perfectly display a daisho pair, the katana and wakizashi, together in simplicity and elegance, although truthfully, this simple mount is perfect for displaying any two swords together.